Kareem (@wildnkrazykid) searching for the sharpest stars in the sky. Nikon Z 6 with Irix 15mm f/2.4 lens. 20 seconds, f/2.4, ISO 16,000. In this golden age of night photography that we live in, the quest for the sharpest stars seems to be the most elusive. But it’s certainly an achievable goal, and we’re here to help you reach it — to reach for the stars, you might say. Sharp stars can mean two things: Focus and proper exposure. We discussed the multiple ways you can master focus in Chris Nicholson’s article “Staying Sharp.” Today we are going to take a deep dive into working out the best exposure for your camera and lens combination to create tack-sharp stars that don’t trail. 600 / 20mm lens = 30 seconds. This seemed to work fine, but for those of us who were making prints bigger than 8.5x11 inches, we were noticing that those stars weren’t as round as they should be. In reality, they were tiny lines. These results were more accurate than the previous 500/600 rules and were customized to our sensor sizes. However, if you were to zoom in to 100 percent, or get close to a large print, you would definitely still see slight movement in those luminous points in the sky. Add to the equation that higher-megapixel cameras (40-plus megapixels) were actually doing a decent job at higher ISOs, which meant our images were showing more detail than ever before. More detail means that trailing stars become more noticeable. Not to mention that those “rules” are just guidelines to get you in the right ballpark for shutter speed. Other factors affect how quickly stars begin to trail, including declination (i.e., your place on the globe) and which compass horizon you’re facing. The point is (see what I did there? point? ), if you want to be precise about getting sharp star points, there’s a lot that goes into figuring that out. I’ll be honest—the formula is a bit complex. Besides the focal length of your lens, it also takes into account the camera’s megapixels, physical size of the sensor, aperture, pixel pitch and the minimal declination of the stars in your frame. This is a lot to figure out in the field, and the cheat sheets aren’t small. To take a look at Frédéric’s formula, visit the Astronomical Society’s website (or Google’s English translation). Fortunately for night photographers, there’s a simple way to apply this complex concept: I am happy to report that our friends at PhotoPills have incorporated the NPF Rule into their app, under the Spot Stars section. Below is what the PhotoPills calculator looks like, followed by the five easy steps to figure out the best shutter speed for sharp stars. When you open PhotoPills, the Spot Stars module is located near the bottom, so scroll down and tap. Select your camera in the upper right corner. PhotoPills uses this to determine some of the necessary numbers to plug into the NPF Rule algorithm, such as using the sensor size and megapixels to figure out the pixel pitch. Choose the focal length of the lens (the one written on the lens, not the full-frame equivalent). Input the aperture you’d like to use. We typically choose an aperture one-third to 1 stop less than wide open. For example, for a f/1.4 lens we’d shoot at f/1.8 or f/2. For declination, tap the AR (Augmented Reality) button on the lower left corner and angle/aim the AR to the area in the sky you’d like to compose around. Note that at the bottom of your screen PhotoPills will now show your maximum exposure in landscape and portrait modes, as well as your minimum declination. The final setting to look at is Accuracy (upper right). It should say “Default.” If you keep it at Default, you’ll get a longer shutter speed and be able to use realistic ISOs such as 3200 and 6400. However, if you’re a pixel-peeper and look at the stars at 100 percent, that will result in you still seeing slight movement. You can switch from Default to Accurate and then there will be no trails at all. However, you’ll also be cutting your maximum shutter speed in half. I wouldn’t recommend this unless you are making 17x22 or larger prints—but even then, that results in the negative trade-offs that come with shooting at sky-high ISOs, which are also more prevalent in larger prints. Decisions, decisions. Let’s take a look at the old and new math. 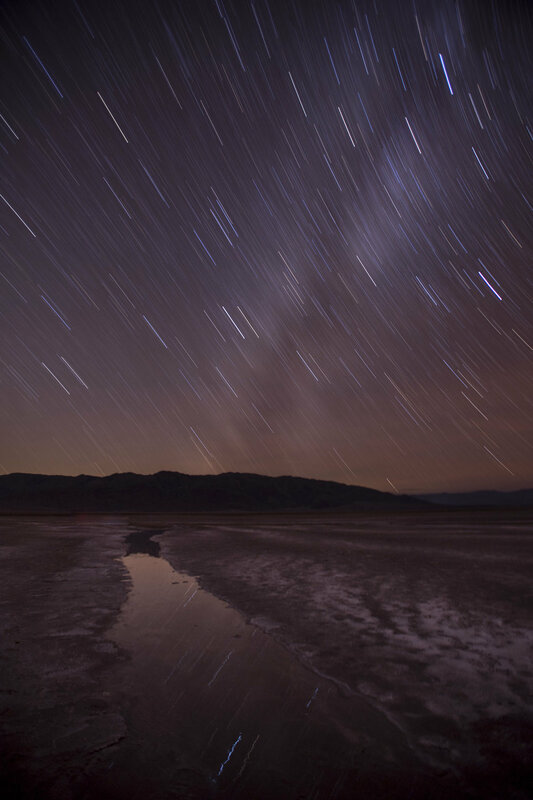 Using our beloved Irix 15mm lens on a standard-resolution, full-frame camera, the 400 Rule gives us a 25-second exposure (400 / 15mm = 26.6 seconds). However, if we then shifted to Accurate mode, our maximum shutter speed would be 8.63 seconds. I’d round that to 8. So, using the NPF Rule in Accurate, I’ve lost pretty much 2 stops of light from ye olde 400 Rule and 1 stop of light off the NPF Default mode. On a moonless night we would typically use ISO 6400 under the 400 Rule. Now, with the NPF Rule, we’d have to shoot at ISO 12,800 or 25,600 in order to get perfectly sharp stars. The Nikon Z 6 can handle those ISOs, but not many others can. Theory is nice. But shooting for real is where we really learn some things. I was out on the sand dunes of Death Valley a few weeks ago, and I brought my new Z 6. Curious about how the bigger sensors and higher-megapixel cameras would perform, I also borrowed the medium format 51.4-megapixel Fujifilm GFX 50R as well as my friend Kareem’s 42-megapixel Sony a7R III. The 23mm lens is equivalent to an 18mm on a full-frame sensor, so for the 400 Rule this equaled a 22.22 maximum shutter speed. I rounded down to 20 seconds at f/5.6, ISO 6400. The resulting stars are slight dashes—elongated oblongs. They are sharp and skinny, which makes me feel I could live with this. However, if you are shooting with a 50-megapixel camera, then you’re probably making big prints, so maximum sharpness is important. Full image from Fujifilm GFX 50r with 23mm f/4 lens. 20 seconds, f/5.6, ISO 6400. 100 percent view from Fujifilm GFX 50r. 20 seconds, f/5.6, ISO 6400. I used 10 seconds, but I was afraid to go any higher than ISO 6400 on the GFX 50r—so I just underexposed. (Not trying for art here, just testing efficacy.) To be honest, I’m seeing only the slightest of movement in the stars, not even oblong, mostly round but some of the brighter ones slightly oval. I’d be happy with these stars, event in a big print. Full image from Fujifilm GFX 50r. 10 seconds, f/5.6, ISO 6400. 100 percent view from Fujifilm GFX 50r. 10 seconds, f/5.6, ISO 6400. With NPF Accurate, we’re squeezed even further. Again we are still dealing with an underexposed image, but the stars are certainly tack-sharp. Full image from Fujifilm GFX 50r. 5 seconds, f/5.6, ISO 6400. 100 percent view from Fujifilm GFX 50r. 5 seconds, f/5.6, ISO 6400. Takeaways: The GFX has the most megapixels of the sub-$5,000 cameras on the market, clocking in at 51.4. The dynamic range and detail are amazing, but the higher ISOs are a struggle. ISO 3200 is workable but 6400 needs some finessing. Match that with their widest lens, for which the fastest aperture is f/4, and it’s a challenge to do any dark sky work with this combo. 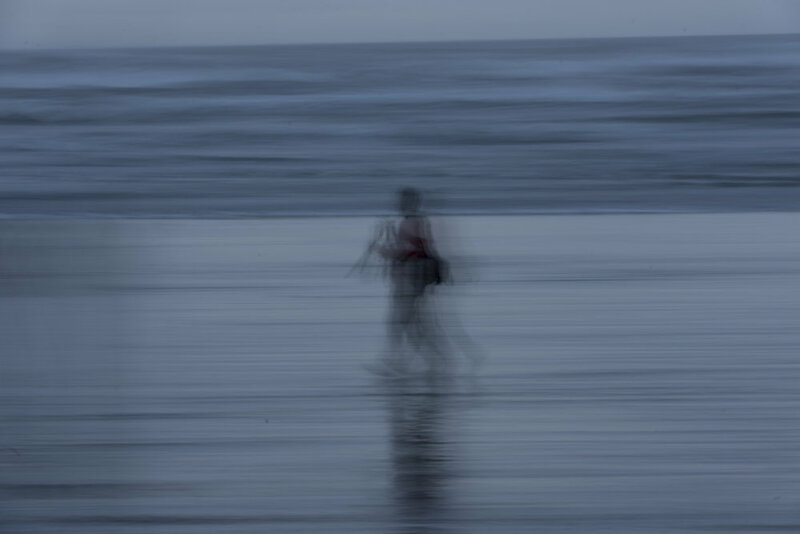 Here was my first shot using the 400 Rule, which gave me a 25-second maximum shutter speed. This forced me to use a wide-open aperture of f/2.4 and an ISO of 12,800. It looks good in standard view in Lightroom, and if posted to social media there would be no issues. 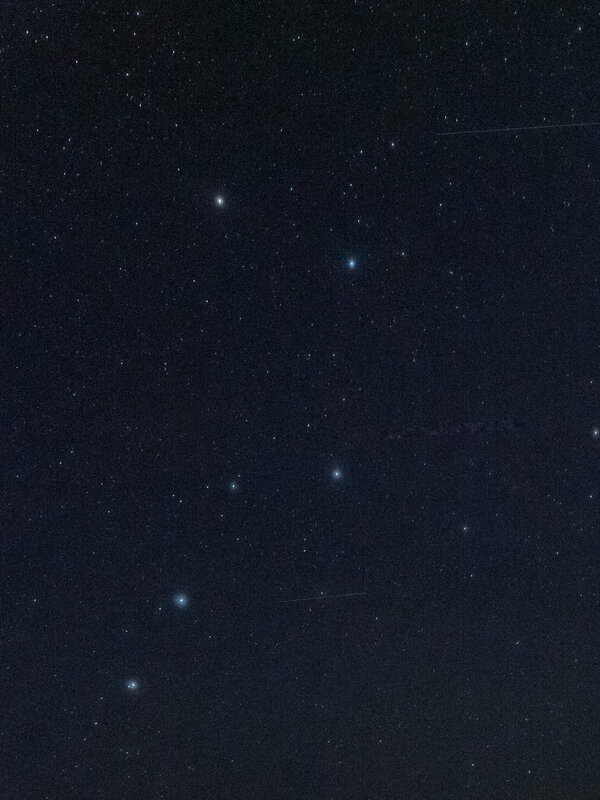 However, the 100 percent crop definitely show the stars as small lines. Full image from Nikon Z 6 with Irix 15mm f/2.4 lens. 25 seconds, f/2.4, ISO 12,800. 100 percent view from Z 6. 25 seconds, f/2.4, ISO 12,800. The stars are definitely rounder, a little oblong, but I would find this result totally acceptable. Full image from Z 6. 15 seconds, f/2.4, ISO 12,800. 100 percent view from Z 6. 15 seconds, f/2.4, ISO 12,800. All that disturbs me is the coma distortion that is affecting the brighter stars. Most lenses display some coma at their widest aperture, mainly near the edges of the frame and in brighter stars. With the Irix, this can be minimized by stopping down to f/2.8 or f/3.5. 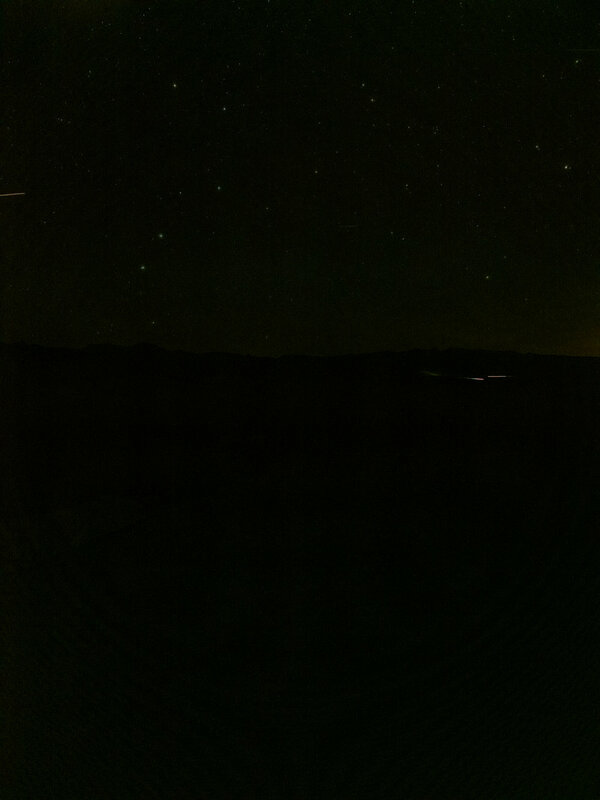 Note the distortion in the brighter stars—they look like UFOs with a bright line intersecting them. This is called “coma’ and is found in many lenses. You can correct for coma by closing down your lens 1 to 3 stops. The NPF Accurate exposure was for 8 seconds, so I had to push my ISO up to 32,000 to get a good histogram. The stars are definitely rounder and less oblong, but it is a challenge to live in those higher ISOs. The coma is also still prevalent. Full image from Z 6. 8 seconds, f/2.4, ISO 32,000. 100 percent view from Z 6. 8 seconds, f/2.4, ISO 32,000. Takeaways: I’m starting to feel that I can live with the Default NPF setting in PhotoPills, which is still pushing cameras into the ISOs of 12,800 and higher. The Z 6 handles those higher ISOs very well, but I barely got the right exposure in the sky and the foreground is suffering. Blending a longer foreground exposure would be key to balancing the overall image (such as Tim did for his Bryce Canyon photo in last week’s post). I stopped down the lens to f/4 and the shutter speed to 20 seconds for our 400 Rule shot. The Sony a7R III does an excellent job at ISO 6400 and the Big Dipper looks very sharp. Looking west (left) I do notice the stars are becoming oblong. Full image from Sony a7R III with 16-35mm f/2.8 lens. 20 seconds, f/4, ISO 6400. 100 percent view from a7R III. 20 seconds, f/4, ISO 6400. Rounding down the NPF Default to 10 seconds yields excellent results. Only a few bright stars to the far left look oval, and this is being nitpicky. Full image from a7R III. 10 seconds, f/4, ISO 6400. 100 percent view from a7R III. 10 seconds, f/4, ISO 6400. We rounded up the NPF Accurate shutter speed to 6 seconds and the stars are wonderfully round. I don’t see any distortion at all. Full image from a7R III. 6 seconds, f/2.8, ISO 25,600. 100 percent view from a7R III. 6 seconds, f/2.8, ISO 25,600. Takeaways: I was very impressed with how the higher-megapixel Sony handled ISO 6400, and the 16-35mm lens did a superb job resolving sharp, round stars. In my testing, ISO 12,800 is also easily attainable with the a7R III, whereas ISO 25,600 is the breaking point for me, as a layer of grainy noise covers the whole image. This is still a very admirable result for a camera that gives loads of detail. If you are a star-point seeker then you’ll definitely want to start using the NPF Rule in your workflow. I’ll be switching over from the 400 Rule to the NPF Rule at the Default setting in PhotoPills. If the shot is an absolute beauty—a 5-star shot (so to speak) that I know I’ll want to print—then I’ll use the NPF Accurate mode. Either way, with an f/2.8 lens we will be using an ISO from 6400 to 25,600, which isn’t ideal for any camera. Don’t get me wrong, there are certainly a few cameras that handle these higher ISOs admirably, but for the best print quality we always want lower ISOs. Because of that reality, I’ll also start committing to shooting multiple frames of a star-point scene that I can blend in post-production to reduce noise. This requires using Starry Landscape Stacker (SLS), a Mac-only software application that does an excellent job of reducing high ISO noise while keeping stars sharp. Sequator is the PC equivalent. Look for our in-depth reviews of these excellent pieces of software soon. For the test photos above, the foregrounds were all very dark due to the moonless night and the fact that the area we were shooting was too large to paint with light. In these scenarios, I’d also advise taking an additional exposure between 3 to 5 stops brighter than your sky exposure, perhaps with LENR turned on. This will provide more detail and information in the foreground, which can be blended into the stacked SLS or Sequator image. Now here is the hardest part about new knowledge: Do you use it? It’s up to you. We just want you to realize that star point photography is a constant balance, wherein you want to weigh the trade-offs of noise at higher ISOs versus slightly trailing stars. Understanding how your gear performs and then deciding which sacrifices to make in the field will help you create the best possible image based on the specific conditions you are shooting in. Run some tests so that you know your personal tolerance for star sharpness versus how your camera performs at higher ISOs, then apply the 400 Rule or NPF Rule as needed while you #seizethenight! Note: If you want to take a deeper look at some of the other “night testing” you can perform on your camera, check out Gabe’s latest video with B&H that takes a deep dive into recently released full-frame mirrorless cameras. One of the most common issues we hear about from people learning to photograph at night is the challenge of getting the subject in focus when you can’t … well, when you can’t see anything. Is focusing in the dark a trick? A skill? An art? A science? In fact, it’s all of the above. You have options. Focusing a lens in the dark is not only possible, but it’s possible to do in many ways, some of which are better in some circumstances than others. Below are eight techniques for ensuring your night images are always sharp. This is the simplest way to focus in the dark. If you’re focusing on infinity (which is the case for many, many night scenes in natural spaces), then it’s remarkably quick and simple to mount a manual-focus prime lens to your camera and turn the focus ring to infinity. Boom. Done. For this photo in Big Bend National Park, the rock ridge was far enough away so that I knew I could focus on infinity and get everything sharp. So I did the easiest thing possible: I used a manual-focus prime lens (in this case, the Irix 15mm f/2.4) and moved the focus ring to the infinity mark (which, with this lens, clicks into that setting). Nikon D850. 20 seconds, f/2.8, ISO 6400. Focusing might be more difficult in the dark, but it’s a cinch in daylight, particularly with modern autofocus technology literally at our fingertips. When you’re wrapping up your daytime shoot, autofocus your lens(es) to infinity (or on your scouted subject), then turn off your autofocus and immobilize your focus ring with some gaffer tape. Once dark settles over the landscape, you’ll be ready to shoot without having to worry about focusing again. While shooting with Gabe and Matt in Capitol Reef National Park, we all autofocused on infinity at sunset and taped down our focus rings before photographing Chimney Rock under the stars. Nikon D3s with a Nikon 28-70mm f/2.8 lens. 15 seconds, f/2.8, ISO 4000. Yes, you can actually autofocus at night, as long as you have some light to focus on. The more contrast, the better, and you can’t get a much harder edge than a bright light source surrounded by black. Unless you’re in the hinterlands, in the wildest areas of wilderness, you can often find such a light. If you want to focus to infinity, you don’t need that light source to actually be at infinity. A street light 50 feet away will probably suffice—as far as a lens is concerned, that’s far enough to resolve infinity pretty sharply. Alternatively, autofocus on a city skyline, or on a car down the highway, or on anything that gives you a faraway bright spot to lock onto. If you’re shooting on a moonlit night, know that our biggest and brightest satellite is plenty bright enough for an AF system to lock onto. Point your lens up at the moon, autofocus, remount the camera to your tripod, and you’re ready to shoot. The moon was shining over The Grandstand in Death Valley National Park. I needed to focus on infinity, so quickly autofocused on the moon. Nikon D3s with a Nikon 14-24mm f/2.8 lens. 25 seconds, f/8, ISO 2000. 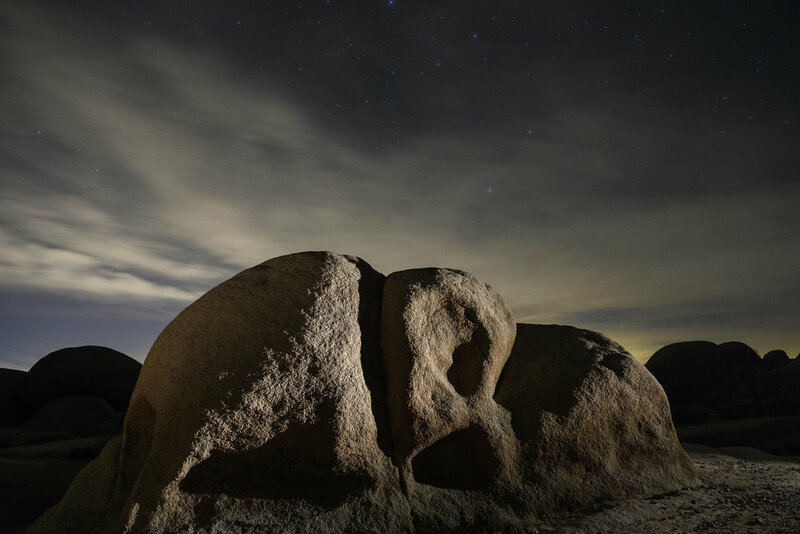 In Joshua Tree National Park, I used my Coast HP7R to illuminate the rock, which was plenty of light for autofocus to work. Nikon D5 with a Nikon 14-24mm f/2.8 lens. 20 seconds, f/5.6, ISO 4000. At Arctic Henge in Iceland, the fog made it tricky to illuminate our subject from a distance, so I put a Coast HP5R flashlight on the rock and autofocused on the lit bulb. Nikon D5 with a Nikon 14-24mm f/2.8 lens. 30 seconds, f/4.5, ISO 3200. If neither flashlight method above enables you to autofocus, try a similar strategy with manual focus instead. Illuminate your subject or place a flashlight in the scene, then use your camera’s live view to focus on the subject. Using a loupe on the LCD makes this even easier and more accurate. 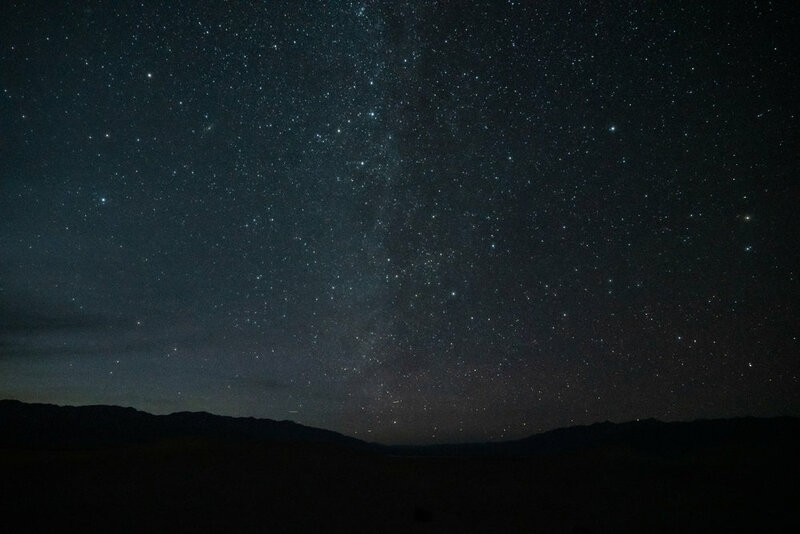 In the very dark skies of Death Valley National Park, I found a bright star in live view and used a Hoodman HoodLoupe to fine-tune the focus manually. Nikon D5 with a Nikon 17-28mm f/2.8 lens. 20 minutes, f/2.8, ISO 100. At the Goldwell Open Air Museum just outside of Death Valley National Park, I used hyperfocal distance to know that if I focused 3 feet, 10 inches away, then everything from about 2 feet to infinity would be sharp. Nikon D850 with a Nikon 14-24mm f/2.8 lens. 23 stacked exposures shot at 2 minutes, f/5.6, ISO 250. When you want to make every frame count at night, try our eight suggestions for staying sharp. Nothing is more painful than well-composed, well-exposed images that end up being soft. To make this a little easier to remember while you’re out shooting, we’ve created a handy infographic. Download it here, and feel free to keep it on your phone or print a copy to keep in your bag for when you're in the field and wondering what to do. "Staying Sharp: 8 Ways to Focus in the Dark"
Humankind has been fascinated with the moon since the birth of photography. One of the first things that was attempted during the daguerreotype days was to try to record the moon in all its detail. John Williams Draper was the first to successfully mount a camera box onto a handmade telescope and track a full moon for 20 minutes using a heliosat. Oldest surviving image of the moon. John Williams Draper, 1840. That print from 1840 has unfortunately sustained extensive damage and now looks like a bubbly surreal etching. But this effort kick-started astrophotography, and we have many remaining images of our satellite from that early era. The first detailed images are credited to John Adams Whipple, who starting in 1849made daguerreotypes of the moon using the telescope at the Harvard College Observatory in Cambridge, Massachusetts. Other early successes include an image by Henry Draper (John’s son), shot from Hastings-on-Hudson, New York, in 1863. "View of the Moon,” by John Adams Whipple, 1852. 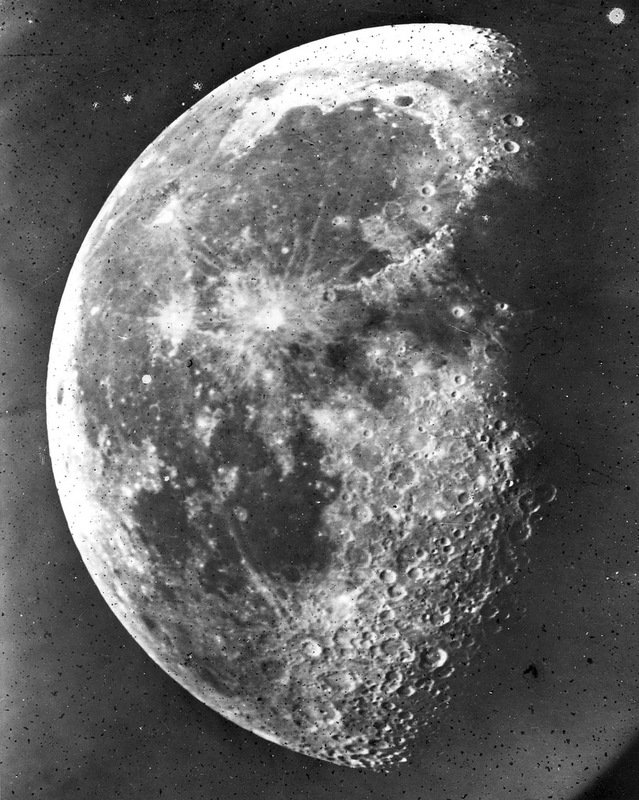 “Photo of the Moon,” by Henry Draper, 1863. Photographically speaking, the moon is closer than ever before, so how can we improve our moon shots before we start colonizing? Also remember that moonlight is actually sunlight reflecting off a gray surface—so it’s pretty bright. Most of the time the tricky part is that the moon is brighter than the rest of the scene. For this blog post, we will focus on shooting the moon while it is full and most luminous. For astronomical pictures of the moon’s surface, set your aperture to f/11 and match the shutter speed to your ISO. For example: 1/125, f/11, ISO 100. However, please remember—and I can’t stress this enough—that the formula above does not always give you an exact correct exposure, but rather a starting point. Use the formula to get an exposure that will likely be close, and then adjust to precision using your histogram as a guide. One challenge to consider is that ideally you need a long lens to focus in and get close to the moon. How many of you have taken pictures of a little while circle in the sky? Minimally, I’d use a lens that can get to 300mm, but the closer the better! We were very fortunate at our “Blue Supermoon” workshop in Biscayne National Park in January, as Nikon sent us their majestic telescope of a lens, the 800mm f/5.6. This is currently Nikon’s longest lens. The 800mm generally attracts the high-end market of wildlife and sports photographers, but for shooting the moon, nothing else of this quality gets you closer. The lens comes with a matched 1.25X teleconverter that, when mounted, makes this a 1000mm lens! We still didn’t think that was close enough, so we attached the lens to Nikon’s top APS-C camera, the D500. The crop sensor on the D500 turned our 1000mm lens into a 1500mm! Talk about extreme close-up! The moon photographed at a focal length of 100mm. The challenge we encountered with the 1500mm-equivalent lens is that it was very big and heavy. We mounted it to a Wimberley Gimbal head on a Gitzo mountaineer tripod. This allowed us more precise control so that we could easily track the moon, as the magnification caused it to be out of the frame in just about a minute. Even mounted on this rig the lens would easily shake in the breeze, so later in the evening we added a second tripod (a Gitzo 3543) under the lens hood for two-point contact and stability. Henry Draper’s setup in 1863 versus ours in 2018. Which brings me to the next factor when photographing the moon: If you are shooting handheld or with a large lens (400mm or longer), then your shutter speed should match your focal length. We found the shutter speed of 1/1000 to be acceptable for our setup, which (per the Looney 11 Rule) meant we had to boost our ISO to 1000. Craterlicious moon, Biscayne National Park. Nikon D500 with a Nikkor 800mm f/5.6. 1/1000, f/11, ISO 1000. If you want to level up your moon game, the next challenge is finding a foreground for the moon to intersect or play against. This will give more context and tell a better story about your lunar experience. In order to do this you’ll need to do some planning. The best tool to help with this is the PhotoPills app. You can go into the Planner mode, drop your pin anywhere in the world and see where and when the sun and moon will rise and set in that exact location on any day of the year. When I was scouting to shoot a supermoon in late 2016 (below), using PhotoPills I could see the time and path of where the moon would rise. I was interested in having it intersect with an icon of New York City. So I dropped my pin at various positions until I found the best pier at South Street Seaport to see the moon rise through the Brooklyn, Manhattan and Williamsburg bridges. 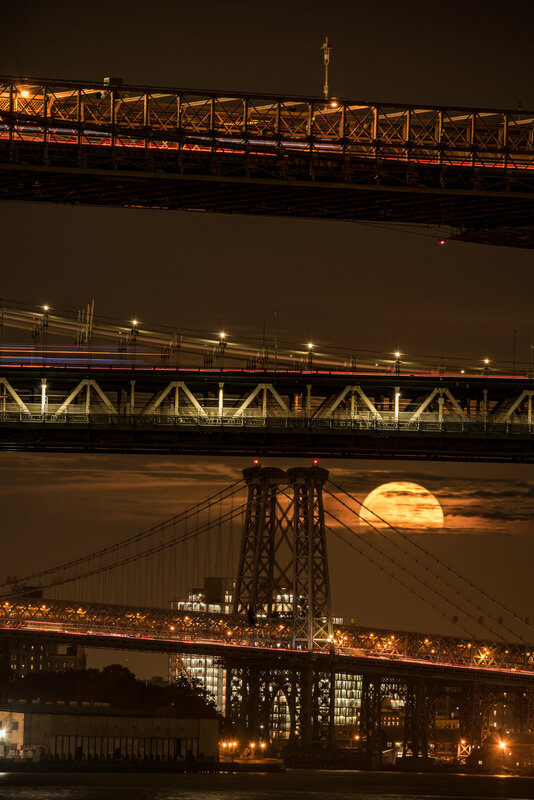 I needed a 3-minute window for the supermoon to shine through the clouds and bridges, a juxtaposition of time and place that required some serious planning with the PhotoPills app. Nikon D750 with a Tamron 150-600mm f/5-6.3 lens set to 370mm. 1/2, f/11, ISO 400. The next full moon we will encounter will be next Saturday, March 31 (which, incidentally, will be our second blue moon of the year). According to PhotoPills, at my home in New York City that day the moon will rise at 7:38 p.m. and the sun will set at 7:20 p.m. Civil twilight will be from 7:20 p.m. to 7:48 p.m. This would give us only 10 minutes to shoot the moon during ideal light, all during civil twilight. However, the day before (Friday, March 30), the moon will rise at 6:31 p.m., the sun will set at 7:19 p.m. and civil twilight will end at 7:46 p.m. This will give us over an hour of shooting the moon—during golden hour, sunset and then blue hour. The moon will also be higher in the sky, providing more opportunities to play it against any interesting foregrounds. This image was taken during golden hour, providing the opportunity for a rich and balanced exposure. Sony RX100 set at 92mm. 1/60, f/10, ISO 125. I was able to just eke out this shot of the full moon and get some detail in the buildings during nautical twilight. Fuji X-Pro1 with a Fuji 55-200mm f/3.5-4.8 lens set at 200mm. 1/250, f/8, ISO 400. We hope these tips have inspired you to incorporate the craterlicious moon more into your night work! We’d love to see what you do. As you photograph the full moon March 30 and other months, please post your images in the comments section. It’s not as far as it looks from here to there. Fujifilm XT-1, 7Artisans 7.5mm f/2.8 lens. 1/60, f/2.8, ISO 1000. What follows is one of my favorite moments of our 2017 season—a moment of candor and clarity from a student during our workshops at Olympic National Park. I paused. I sensed Chris pause, too. It was a pivotal moment for her. This was a poignant moment. I was awfully proud of her, and actively thanked her for sharing and committing to the idea—and for stating it in a manner so succinct that it became profound. For the remainder of the workshop, she made rapid progress and took ownership of her mistakes, and explored what she learned from each. You can be transparent in many ways. Nikon D750 and 70-200mm f/2.8 lens. 2 seconds, f/16, ISO 100. Moments like these are a core reason we love holding workshops. You have good chances for making extraordinary images, but the true purpose is to put in the hard work by facing your own gaps in knowledge by trying things outside your comfort zone. Often photographers, or anyone learning challenging material in the field, look for any lead to follow. It’s natural, it’s human nature. Much can be learned by doing what the photographer next to you is doing. But it works best when it’s followed by two more steps: 1) dissecting why the borrowed knowledge works, and 2) taking off those training wheels and figuring it out yourself. Or, as this student said, by owning your settings. But knowing the math is vital. Doubling and halving the shutter speed or ISO is something that should come as easy as breathing. Well, breathing doesn’t take practice, but getting used to these numbers does. And you get used to them by shooting over and over again—you know, while working through your first 10,000 photos. Similarly, being able to perform a high ISO test on demand will increase your enjoyment of night photography forever. Knowing you got a proper exposure frees your mind to bend on creativity. As a rule, doesn’t this apply to shooting in darkness? LOL. What I intend by this is truly to adopt an attitude that rewards creative risk-taking. There is no harm when making a photograph that does not work. But what if it does work? Then you have another piece of evidence you can file away in your mental bank of “settings” for future use. This may not have worked … but it did. Nikon D750, 15mm Zeiss Distagon f/2.8 lens. 75 seconds, f/2.8, ISO 400. Great leaders often say, “I learned more from my mistakes than my successes.” There are many reasons for this. Some are emotional. Some are scientific. On the technical side, if you have trouble identifying how a photo went sideways and your peers fail you for an explanation, you can always book some time with us for a remote critique. But please fail often, and well. I know that my Nikon D750 can’t make a quality file over 60 seconds in duration when the temperature is above 90 F. When does your gear fail? Knowing is important. I also know that I can shoot a half-hour single exposure at 45 F with no quality degradation. At the same temperature I also know that after 8 minutes I should turn on Long Exposure Noise Reduction (LENR). Elwha Valley, Olympic National Park. Nikon D750, Zeiss Distagon 15mm Zeiss Distagon f/2.8 lens. 60 minutes, f/5.6, ISO 400, plus LENR. How do I know these things? I scrub my Lightroom. I look at the settings. I take notes. And I keep this info in my backpack just in case I need a reference about the technical boundaries of my camera. Another example: You may have a lens that can’t focus on stars via live view, but does OK with a strong flashlight and a subject relatively nearby. Knowing these things helps you avoid the future frustration of committing time making exposures when your gear just can’t handle it. No one camera system can do everything right. So it’s a practice of working within the boundaries of possibility. What works for me may not work for you. So please don’t take any of this as dogma. A final belief you may choose to hold about owning your settings is to make a system that helps you recall the things you need to do at the right time. I’ve recently started using the Bullet Journal to manage my priorities, ideas and commitments. I started a page in there where I have a living list of steps for night photography that I had (until recently) kept only in my head. Zig when others zag. Nikon D750, Zeiss Distagon 15mm Zeiss Distagon f/2.8lens. 26 seconds, f/2.8, ISO 6400. No matter how you choose to do it, establishing a process—instead of trusting your brain to have perfect recall—is a sound choice. Because when it’s dark, and when everything is unfamiliar, wouldn’t having your own step-by-step guide, tailored to you, help appease anxiety and help you focus on making gorgeous night photography? The path to owning your settings is just that: a path, a journey. It’s not a destination reached quickly or by accident, especially in night photography. But it’s a journey worth making, because when you get there, you will have the confidence required to take responsibility for your own creative process, which includes mastering the techniques necessary to level up. We love the “work” part of workshop. When participants choose to share images that didn’t work, expressly to learn how to avoid that mistake in the future, it helps the whole group grow. And thank you, dear reader, for being part of the adventure. Now go, and seize the night, as well as your settings. A few days ago Matt Hill and I were hosted by the B&H Event Space, one of our very favorite places to present. The people who run the space are fantastic to work with—always warm, welcoming, helpful and professional in every degree imaginable. Moreover, the Event Space attracts an impressive array of audience members—from beginners to expert pastimers to consummate professionals—who come armed with infectious enthusiasm and a passionate curiosity to better their craft. Matt and I demonstrating why we love Coast flashlights above all other options. Photo courtesy of B&H Photo. It was “A Day of Night at the Event Space,” comprising two presentations, which were livestreamed to a combined audience of over 25,000 viewers (thank you to everyone who tuned in!). 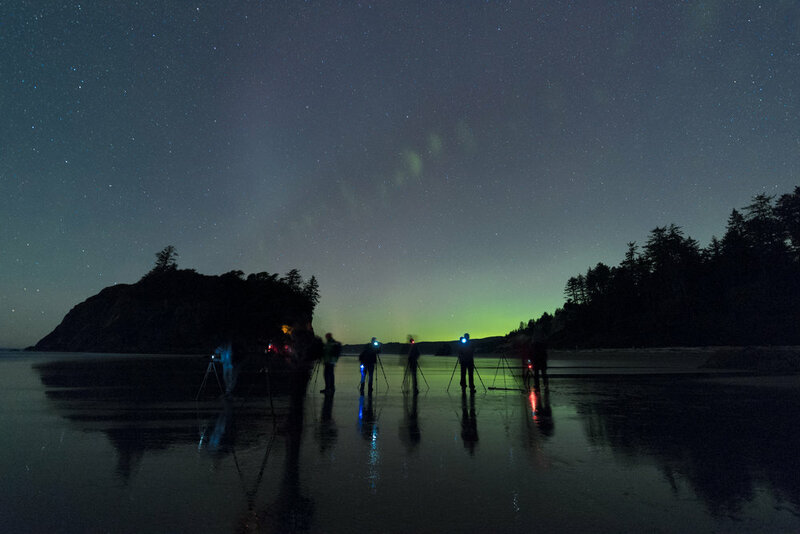 Both talks included some of the topics we teach on our workshops, along with over 75 photographs that we’ve made during our adventures under the dark skies of America’s national parks. We wanted to share what we talked about with you, the readers of our blog. Me talking about starry skies while surrounded by National Parks at Night logos. Photo courtesy of Klaus-Peter Statz. Matt and I demonstrating the right and wrong way to paint with light. Photo courtesy of Klaus-Peter Statz. We hope you enjoy watching these presentations, and that you can take away a nugget or two of knowledge that help as you venture into the night with your cameras. Between the five of us here at National Parks at Night, we talk pretty regularly at the B&H Event Space, as well as at conferences, trade shows, camera clubs, podcasts, etc. If you’re interested in attending any of the events where we lecture, see our Speaking Engagements page for a schedule of where we’ll be next.